connect USB to serial converter to your PC. We will use esptool to flash the nodeMCU firmware into ESP and esplorer or screen to check if the nodeMCU works. 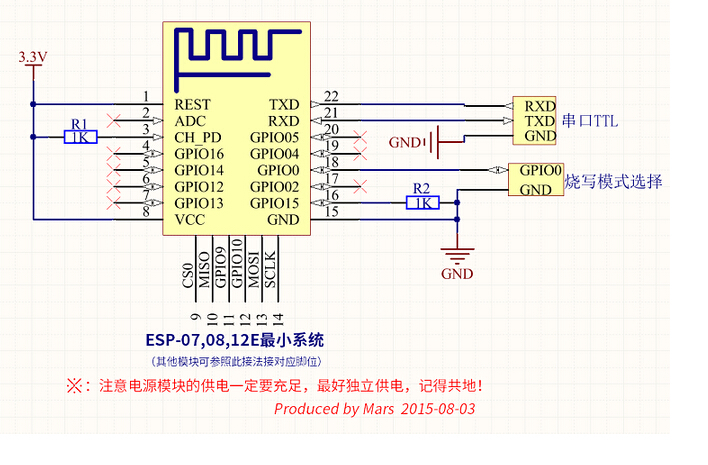 You need to erase the ESPs SPI flash and flash the nodeMCU firmware into it. After that you need to reset the ESP and wait until internal filesystem is formated. In case that your ESP does not boot up, try to find out which SPI flash chip is used in your ESP and force flash parametters manually. You can try to let esptool to autodetect all flash parametters and specify just port and filename which should be flashed. 0x0 in the command bellow means the starting address for flashing, 0x0 simply means from the beginning of the flash. The simplest way how to find out which SPI flash chip is used in your ESP is to look on the flash chip on your ESP (use magnifier glass if needed, it is very small), read the marking and google its datasheet. Sometimes it is not possible - for example on ESP 12-F the flash chip is under metal cover.